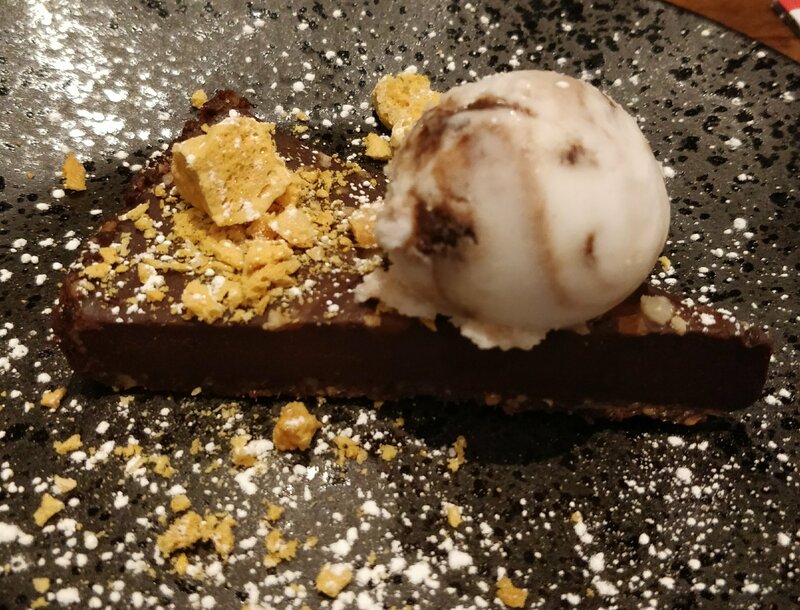 Zizzi’s were one of the first major chains to being out a vegan menu and living in a London suburb with no exclusively vegan or vegetarian restaurants you have to rely on the chains to get your vegan eats. I went with my friend Louise who has a taste card so we got a main free which was nice. We shared a bruschetta to start. 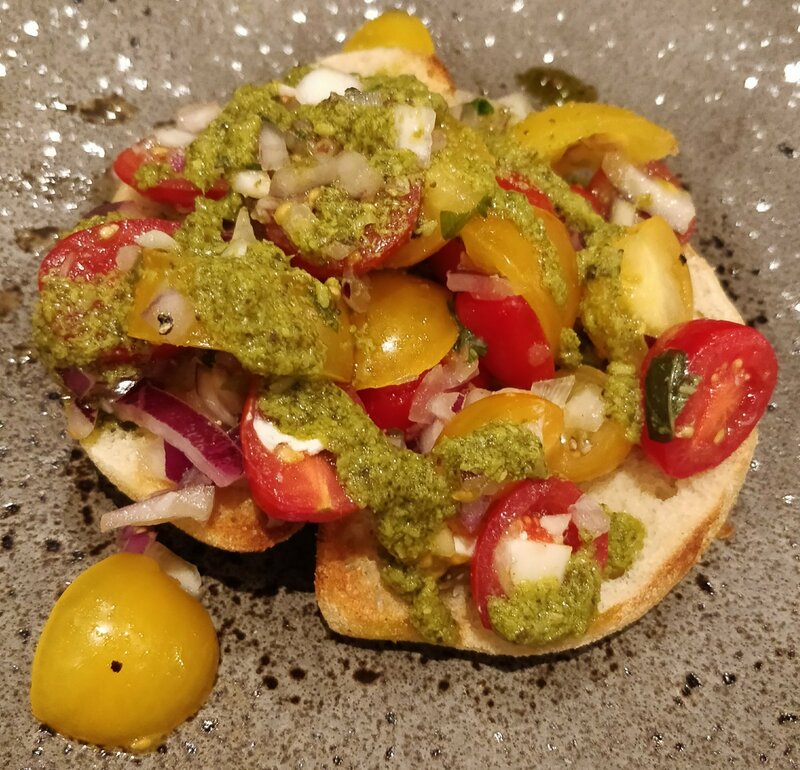 This was really nice and it would good to have a vegan pesto and this was a tasty start to the meal. 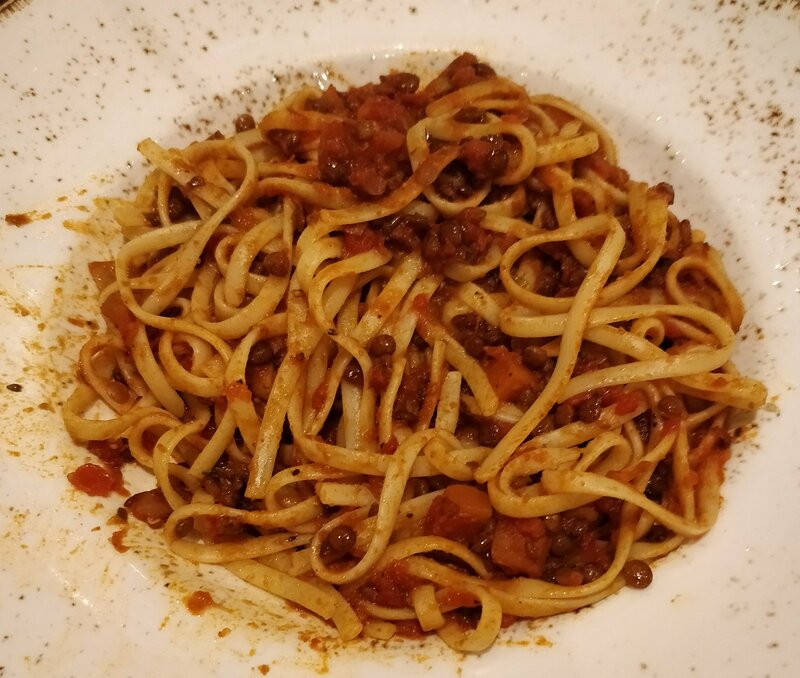 For main I went for my favourite lentil ragu, this is another tasty well thought out dish which I return to time and time again. I’d never had the praline torte before so I went with that along with my americano and soya milk. It was really rich and the ice cream was nice with it to cut through that richness. My friend tried a bit and enjoyed it too. The honeycomb was a great addition too. There’s a Pizza Express very close to Zizzi’s in my town but they only have sorbets for dessert so the Zizzi menu pips it for me! With Pizza Hut trialling vegan cheese at the moment it might soon be difficult to find a chain pizza restaurant that doesn’t often a vegan menu! We’re taking over people! What’s your favourite dish from Zizzi? Let me know in the comments below. That torte looks so good – Will have to get myself to a Zizzi’s asap! It was really good, so nice to have a proper dessert!